Houston, the 2nd Hundred Years. 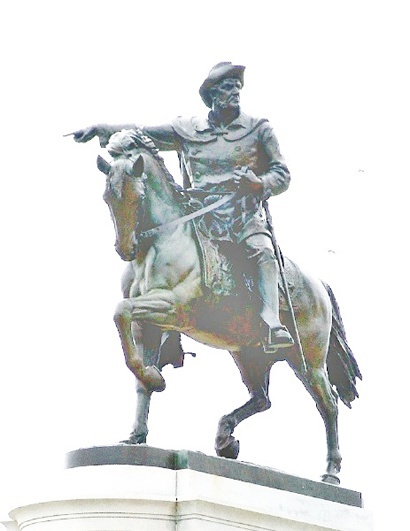 Houston, Texas Using the defeat of Santa Anna at San Jacinto in 1836 as the beginning, my birth in Houston was just 5 years before this city began its 2nd hundred years. I feel obligated and pleased to offer my witness of Houston as a native by mentioning names of people and places I have contacted along with my pictures of many of those. It is my hope that this writing could help you recall key words that will start your search engines. The following short list may represent my approximate order of food source familiarity: San Jacinto Inn, Barbeque Inn, Pig Stand, Princes, Stuarts, James Coney Island, W T Grant and The Houstonian Coffee Shop, Valians, Monterey House, Sonny Look, Samperi�s Deli, Kapan�s, Triple A and others. 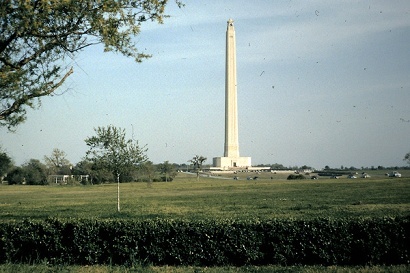 The San Jacinto Inn across the road from the monument was known worldwide. Their clientele came from visitors to the near by Houston ship channel as well as local residents. Mexican Food came from the Monterey House, hot dogs and chili came from James Coney Island and Valians on South Main introduced pizza. But when teens first got a driver�s license the thing they did was go to a drive-in food stand, flirt with carhops and drink root beer in ice-cold mugs. 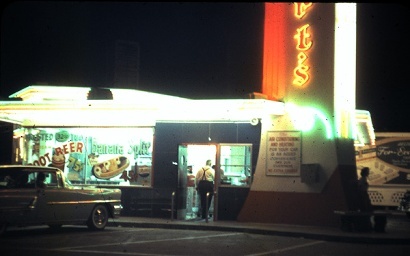 The drive-ins to choose from were Pig Stand, Princes and Stuart�s drive-in. W T Grants and The Houstonian coffee shop fed many of us downtown, while in the outskirts the Barbeque Inn (Crosstimbers & Yale) and later Cadillac Bar and Grille, Hofbrau Steak House on Shepherd and I-10. On Fulton Street just north of Quitman was Sonny Look�s Caf�. His food was good and was the local originator of serving a quart glass of ice tea. Look also catered parties. This was a time of railroad-car (Pullman) style Diners. The Simpson Diner was on Main Street with all day parking, fifty cents. Doyle�s Delicatessen on 34th has served great food since the 60�s. Rosnovsky Hamburgers at T C Jester and 34th still serves their burger made with a modest 5 to a pound patty. This allows all burger ingredients taste to be balanced. Their original joint was at Feagan & Malone. Another was at the Abbott Street School. In between these two locations is Supreme Sandwich shop at the North Loop 610. These are ordinary sandwiches (you could have, perhaps should have) made you for lunch. But they are economically priced, tasty and fresh. People have been eating them for 50 years. In the 1970�s when we spoke of hors d�oeuvres - Samperi�s Delicatessen at the Northwest Mall was the place. Look�s first steak house on Westheimer (near Chimney Rock) was where he loaned customers his own sports coats to meet his dress code. Sonny was large in a skinny world � so all his coats were loose fitting on the general public. As the Astrodome was completed Kapan�s and Sonny Look�s Sirloin House opened near by. Sonny usually visited your table sometime during your meal often personally pouring your complimentary glass of Rose� wine. Before the Interstate Highway System the original highway 75 to Dallas began on Airline Drive. 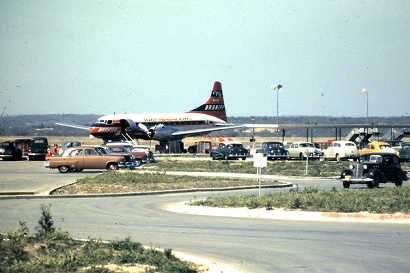 Airline was also the address of the Triple A Restaurant next door to the Farmers Market � both still operating. Weingarten�s Grocery (now morphed into only real estate) had stores all over the city. 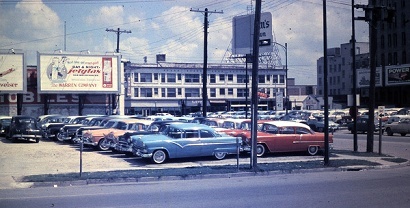 In the beginning Main Street or at least downtown was the choice location of car dealers. Next the dealers populated Washington Ave and Shepherd Dr. Now almost all are on the freeway system. Near City Hall where the freeways come together is known as �the spaghetti bowl�. 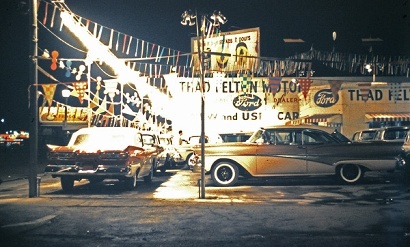 Sam Henry was a fleet and truck salesman who always wore a white Stetson hat. 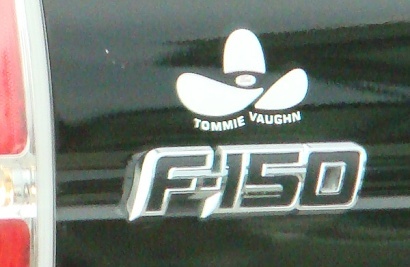 Many years ago he finished his working days but even now a decal of Sam�s hat still comes on every Tommie Vaughn vehicle sold. 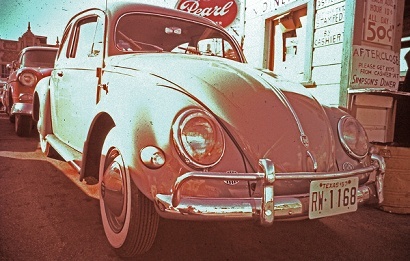 Volkswagens started arriving in large numbers at the Port of Houston in 1957. 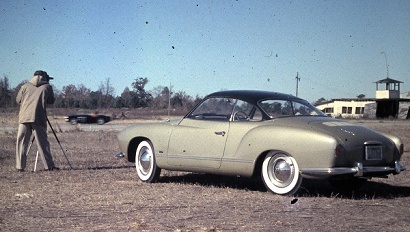 Bugs sold for $1500, Karmen Ghias for $1900 and Porsches for $3500. 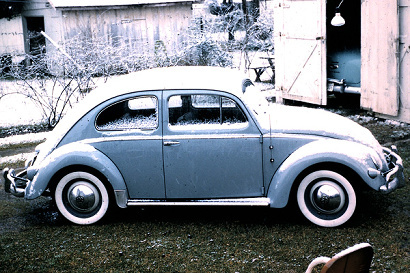 The blue VW with the snow on it belonged to the man who had what was called the Hong Kong Flu. During this time all cars still had carburetors and 6-volt batteries. In the `30�s and `40�s day and night radio was the primary home family entertainment. KPRC stood for Port, Rail and Cotton. KTRH stood for The Rice Hotel. KXYZ stood for all of that. In the late `40�s TV began to be broadcast with entertainers including Texas Ruby and Floyd Tillman. 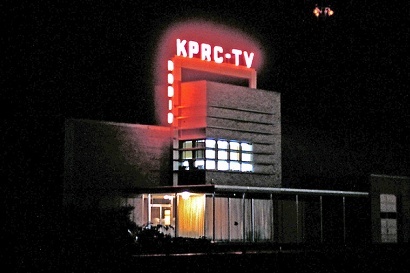 Early television stations were KLEE and KPRC-TV. The House of Television sold 13� sets on S Shepherd Dr near Westheimer where people could simply watch and/or buy. Dancing was popular. 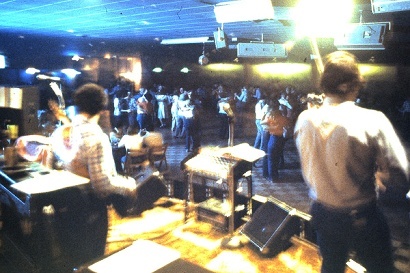 Downtown at 103-� Main St. was an upstairs facility and Cook�s Hoedown Club at street level. 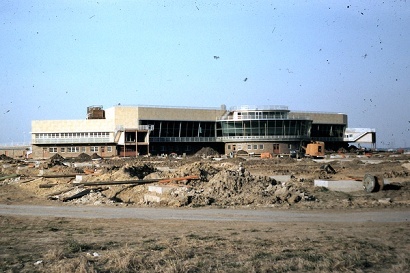 Residential halls were SPJST, Bill Mraz and Dance Town USA to name a few. On Airline Dr. and on Telephone Road (The Four Palms) were places called �pressure cookers�. Songs like Stranger (Johnny Duncan), Love in a Hot Afternoon (Gene Watson) and Third Rate Romance (Amazing Rhythm Aces) tell about the goings on at these establishments. Downtown movie theatres included the Majestic, Lowe�s State, Kirby, Uptown, Iris, Texan and Metropolitan. Neighborhood theatres included North Main, Stude, Santa Rosa, River Oaks, Park Place and others. Music records played by disc jockeys dominated daytime local radio programming. This began the rise of DJ personalities I knew like Gabe Tucker who also worked with Elvis and Eddie Arnold, Arch Yancy KILT and Ken Collins KATL. Biff Collie was a �large� DJ but had a relative short local duration because of rumors about him and a man�s alleged wife, �Little Marge�. Other popular DJs were Paul Berlin and Bill Bailey. The Frontier Fiesta was totally the students� idea held during the `40�s and `50�s. It was born of their efforts to create an annual social event to help the University of Houston become known. Built new each spring, Fiesta City would be constructed by student volunteers using donations and freebies. Students of a fraternity and a sorority would join together and originate a theme, create a stage show, and build the �saloon� in which to perform the show. A long-time friend, Bob McGee, was a Usonian Fraternity member and male chorus line participant back then. The ex jet-fighter pilot explained that males were added for the humor, not for their talent! The organizations would be issued an assigned space in frontier square, Midway style, to build their �saloon�. Most shows included music and dancing themes. A parade with floats would be held on Main Street to announce Fiesta City�s annual opening. After a fashion, the Fiesta continues today, but the heydays were during the time of Johnny Goyen and Jack Valenti. Some local broadcast personalities were just so strong they burst to the surface. Alvin Van Black was a Talk Radio magnet. Alvin was my original source of the Saratoga Texas (Bragg Rd.) mystery light. He had the talent to agitate the Houston melting pot. Then in Colorado a harassing personality, like Alvin�s, was murdered. That is when Alvin decided to switch to TV and became less opinionated. TV exposed that Alvin was an obese individual. Perhaps that allowed the grim reaper to catch up with him at an early age. Marvin Zindler was a Ch13 lightning rod personality that attracted attention. Marvin, the disowned son of Zindler�s Clothing store founder, is gone now but we first met him in 1960 when he was a constable. He was fired from his first TV job because �He was just too ugly to work on TV�. 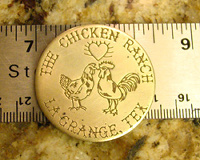 After his many plastic surgeries his foray into LaGrange to close the �Chicken Ranch� launched his popularity. Personal interest in golfers kept him through the lean times until he began his attack on restaurants. �Slime in the Ice Machine� became his mantra on a personal discovery mission. His reporting seemed more about sensationalism than correctness like ORLANDO food market in Acres Homes. When he attacked this business the sign on the business read �O LAN O�. The name was �ORLANDO� but the �R and D� was blown away by a storm. 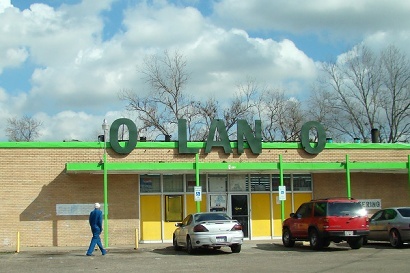 The publicity of this name error has resulted in the �O LAN O� sign being retained over the years. Just off Ella Blvd on Stonecrest Dr was an icehouse where the grandson of Pappy Daily, Mike Daily formed his �Ace In The Hole� band. 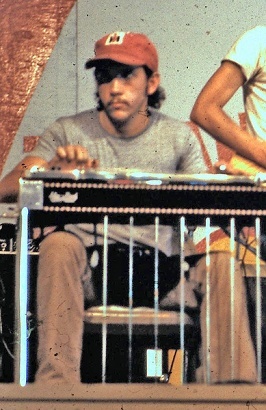 Mike studied steel guitar under Herb Remington (The Texas Playboys). 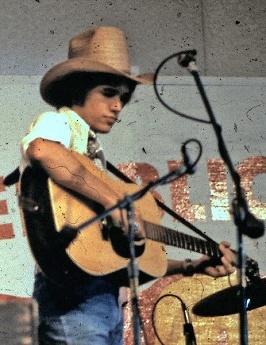 Later in college at San Marcos, Mike Daily and George Strait would meet making music history. In the same area but down on 18th Street was another icehouse where Gene Watson used to pick his guitar and sing in one corner. His wife used to sit at a table right in front of him (by herself) to protect him from groupies. Houstonians who should be remembered are anchors Ray Miller, Ron Stone, Steve Smith and weathermen Doug Johnson, Sid Lasher and Neil Frank. Houston Buffalos (Buffs) was our baseball team in the Texas League. This league produced many major league players. During this time innovator Gordon McClendon came to town and on radio station KILT began to broadcast reconstructed major league baseball games. The plays of the game were sent to him by wire. He would recreate the event like he was reporting what he was seeing with appropriate sound effects. Colt 45�s baseball sprang up in a bleacher stadium complete with mosquitoes on south Main and soon was renamed the Houston Astronauts. That name was immediately contracted to Astros. Sports writer Mickey Herskowitz proposed the name be further shortened to Stros � and so it is/was. The Houston Oilers played its first seasons across from the U of H in the �HIGH SCHOOL STADIUM�. 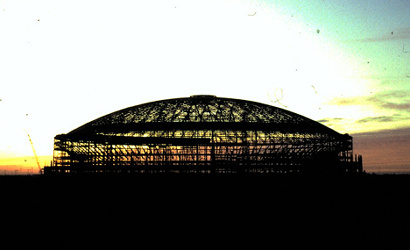 Then the Oilers agreed to play in the �Harris County Domed Stadium (Astrodome) beginning in 1965. Next the U of H played in the same stadium (but named Jeppeson) where the UH QB Alan Neveux had also played for Reagan High School. (This stadium was later called Robertson). Many of these U of H players were from Reagan giving the university the nickname of �Cougar High�. A few memorable people in sports (out of many) begin with Bum Phillips who now resides in Goliad. Also there is Bill Yeoman (QB triple option), Ray Childress, and Earl Campbell. Dan Pastorini was probably the only quarterback to play wearing a flack jacket. Stores downtown were Oshman�s, Holts, Battlestein�s and Foley�s. As the 40�s ended Glenn McCarthy completed the Shamrock Hotel. 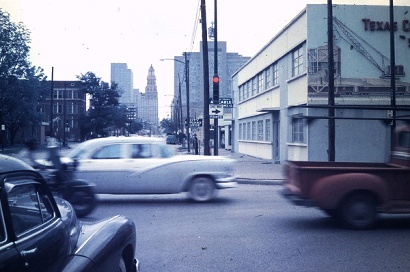 Back then the Rice and Lamar were the other fine Houston hotels. Unlike some sporting venues, the clean air-conditioned Astrodome got most sport fans to dress a little better to go to the games. �Harold�s (Rosenthal) in the Heights� who sold flashy jackets and pants to pro golfers had just the right clothing for fans and other sports minded individuals. Many if not most men had at least one outfit from Harold�s. 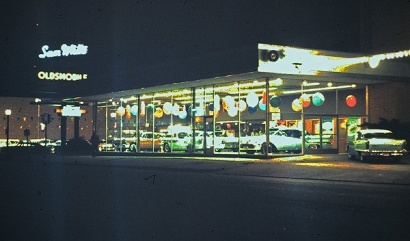 There were specialty stores like Spec�s where at the downtown store you could see Percy Foreman and his secretary re-stocking their office beverage cabinet. He lived in River Oaks like many of the well to do but others who were known as the fathers of this city like Jesse Jones and Oscar Holcomb lived in University Place around Rice University (Institute, then). Most people don�t know how small this city once was - kids used to ride their bicycle about a mile and a half to Keppler�s Model (airplane) Shop was on North Main near Quitman. 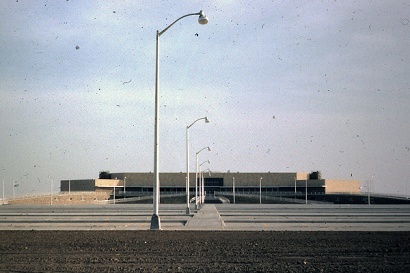 Near where Reveille and Telephone Road cross the Gulf Fwy Gulfgate Mall was constructed in the 1960�s. Where it was is still recognizable unlike Palms Center, which has disappeared. 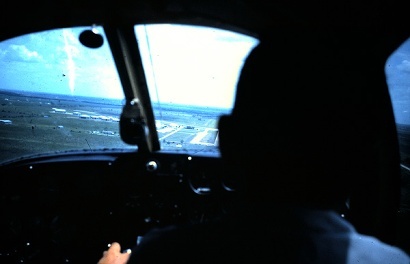 Houston Intercontinental Airport eventually morphed into Hobby after Bush Intercontinental was built on the Jetero (Jet-era) land north of the city off Highway 59. 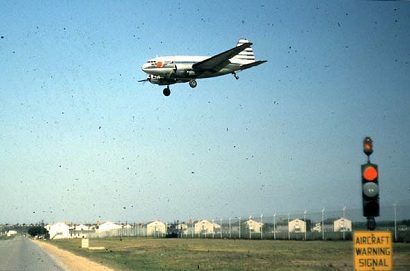 There also were several small airports on the outskirts of town like Andrau Airpark off Westheimer nearly to Alief. 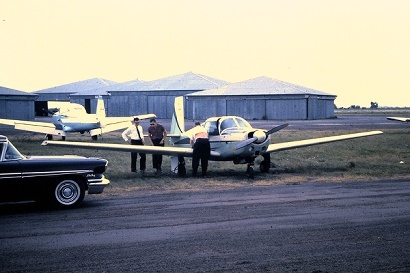 John Felter kept his Mooney at Andrau. Here you see him doing a preflight check to fly to Indianapolis. It was 1961 and the next day A J Foyt won the Indy 500. I told you what to expect in this remembrance and I believe that was delivered. I did leave out a lot of things, some accidentally and others on purpose. The key words contained here can lead you to find �the rest of the story�. I apologize for the year�s dust and deterioration accumulated on these transparencies that caused marks in these e-files. Since the completion of Reliant Stadium, Harris County officials have let the Astrodome simply be deactivated. 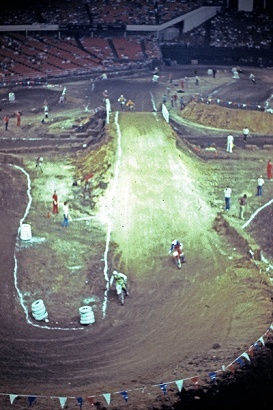 Formerly this venue hosted motocross events, rodeos and basketball games. My grandfather, Jesse Martin Robertson, was a brick mason by trade and he worked with the crew that laid the brick paving for Heights Boulevard. It was a sad day when the city covered the thoroughfare with a topping of asphalt. Old homes in the River Oaks section of Houston contained much of his handiworks in fireplaces and other architectural features. The original Lindale Pool was of brick and mortar construction. Jesse laid the brick work for the pleasure of recreational use. Jesse Robertson died in 1938. As a young girl, my mother, Effie (Robertson), worked at the Rettig's Ice Cream Store in the Heights. Station KTRH: "Keep Tuned Right Here". 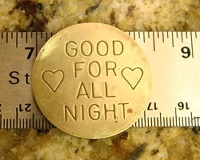 Also, our first service was a party-line. That got interesting at times ! !